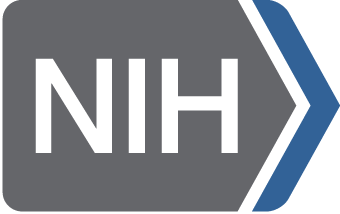 The mission of the National Institute of Mental Health Data Archive (NDA) is to make research data available for reuse. Data collected across projects can be aggregated and made available using the GUID, including clinical data, and the results of imaging, genomic, and other experimental data collected from the same participants. In this way, separate experiments on genotypes and brain volumes can inform the research community on the over one hundred thousand subjects now contained in the NDA. The NDA’s cloud computation capability provides a framework in support of this infrastructure. The NDA holds and protects rich datasets (fastq, brain imaging) in object-based storage (Amazon S3). To facilitate access, the NDA supports the deployment of packages (created through the NDA Query tools) to an Amazon Web Service Oracle database. Originally developed for the National Database for Autism Research (NDAR), and so called miNDAR (miniature NDAR), these databases contain a table for each data structure in a package. Associated raw or evaluated data files are available via read-only access to NDA’s S3 objects. Addresses for those objects in the associated package are provided in the miNDAR table titled S3_LINKS. By providing this interface, the NDA envisions real-time computation against rich datasets that can be initiated without the need to download full packages. Furthermore, a new category of data structure has been created called "evaluated data." Tables for these structures will be created for each miNDAR, allowing researchers using NDA cloud capabilities and computational pipelines to write any analyzed data directly back to the miNDAR database. This will enable the NDA to make this data available to the general research community when appropriate. miNDARs can also be populated with your own raw or evaluated data and uploaded directly back into the NDA for a streamlined data submission directly from a hosted database. To begin, email NDAHelp@mail.nih.gov and request that cloud access be added to your account. Once your request is approved, the option to launch packages to a cloud hosted database will be available during package creation. You can deploy previously generated packages as well as new ones. To move NDAR data to Oracle, first create a package in NDAR. Then, following registration, enter the package id and credentials requested on the miNDAR tab. This will start the miNDAR creation process, which takes approximately 10 minutes. Once created, the miNDAR connect details will be emailed to you, and can be used to establish a connection with your credentials. File data that is usually included in a package download will now be accessible via S3. Each package will have a table “S3_LINKS” which contains URIs for all objects in that package. Using direct calls to Amazon Web Service&apos;s S3 API, a third party tool, or client libraries, data from these objects can be streamed or downloaded. For security purposes temporary AWS credentials are needed to access the S3 Objects. Temporary credentials are issued by authenticating with a web service using your NDAR username and password. AWS credentials can be obtained directly from the web service (see examples on our GitHub page) or from the download manager, which is available in both a GUI and command line version. For the GUI version, go to the &apos;Tools&apos; menu and select &apos;Generate AWS Credentials&apos;. All three parts are needed in order to authenticate properly with S3 and retrieve data. Additionally the web service provides an expiration timestamp for the token in YYYY-MM-DDTHH:MM:SS-TZ format (TZ=HH:MM). New keys can be retrieved at any time. A service oriented approach allows for implementation of pipeline procedures which can request new keys at the appropriate stage of data processing. Please see our Cloud Tutorials for a video demonstration of how to create a miNDAR, how to generate temporary security credentials, and how to use these to retrieve data. Please contact the Help Desk with any questions.